What’s it about? Noah Baumbach writes and directs the story of a middle-aged couple whose marriage and careers are rocked when they befriend a younger couple. Ben Stiller and Naomi Watts star as Josh and Cornelia who meet Jamie and Darby (Adam Driver and Amanda Seyfried) at a time when all their friends their own age are having babies. Verdict: Anybody who saw 2013’s This Is 40 will be familiar with the premise of a couple having a mid-life crisis of sorts as they realise they aren’t as young as they used to be. Anybody that sees Ben Stiller on the poster and is worried that this will be as trivial and shallow as This Is 40 needn’t be. 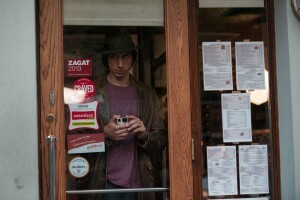 While We’re Young is well-observed and relatable, despite some predictable moments. In the capable hands of Baumbach, the film soars high, ticking the both the ‘heartwarming’ and ‘humorous’ boxes. When we meet Joshua and Cornelia there are some worryingly familiar signs for many people today: there’s no spontaneity, they’re spending too long on their tablets; they haven’t reached their potential, and all of their friends are having babies. OK, so you may not relate to all of these, but they are a well-observed and actually quite an authentic couple. Joshua has spent years working on a dull documentary, much to the annoyance of Cornelia and her father, himself a renowned documentarian. Stiller brings a good balance to the role, bringing his best neurotic game but remaining likable. We know Watts is a great dramatic actress, but she’s brilliant too in a comedic role. Both Watts and Stiller are excellent here, equally so pre-meeting Jamie and Darby, as well as afterwards, when they enter the world of hats and hip-hop dancing. Jamie and Darby are again well observed (though to an almost cartoon-like extreme), and Driver and Seyfried play well off each other. They’re an assured breath of fresh air for Joshua and Cornelia, especially as Jamie is such a fan of Joshua’s documentary. Attitudes towards documentary making are also explored in the film to great effect. Jamie and Darby cycle everywhere, listen to vinyl and would rather not know something than Google the answer. They inhabit a world that’s not quite like real-life, but it’s an affectionate take on city hipsters of today. The whole world is reminiscent of some of Woody Allen’s recent movies, where it you certainly feel like you’re watching a film – but that’s still okay. It’s heightened but it’s not trying to be one of Joshua’s documentaries, it’s always thoroughly entertaining and interesting. Driver’s Jamie isn’t that far from some of the other characters he’s played on screen recently; he’s one of the best at playing somebody that, on the surface, is cool and has it all together, but perhaps has another side to him once you get to know him. He is the loudest and largest character, and as such he’s the standout, stealing almost every scene he’s in. Rounding out the foursome is Amanda Seyfried, who’s given the least to do but is sweet and funny, not to mention impeccably dressed. It’s a great balance, though: each couple makes the other seem more interesting. Without both, each would be less enjoyable to watch. Buambach, who has worked with Wes Anderson on both The Life Aquatic and Fantastic Mr Fox, is set to have his biggest hit to date with this, and it’s a success that is hard to begrudge and with a film that is hard to dislike. Sure, there are certain plot points you can see coming a mile off, but that doesn’t matter too much; this is a nice world to be in for just over 90 minutes. It’s tight, tells its story, zips by and keeps interesting without sagging along the way. 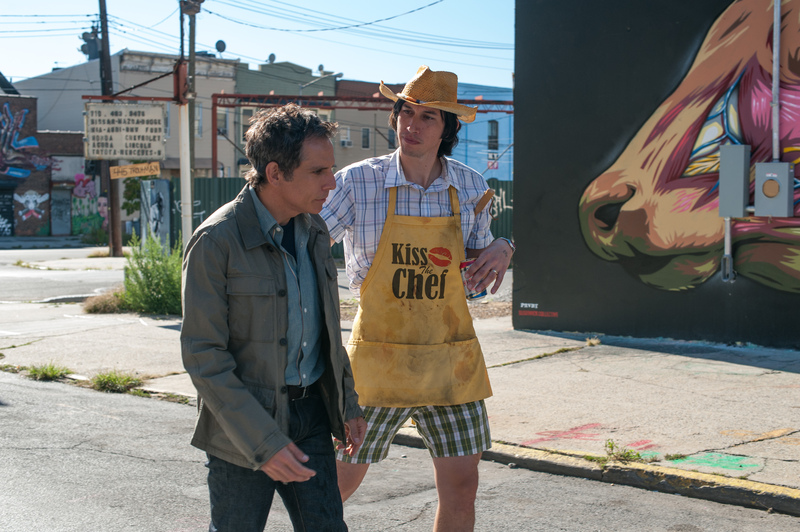 Final Words: While We’re Young is a gentle, well-observed comedy featuring a stellar cast. Though Driver’s Jamie is the standout character, all four of the main cast put in great performances and will make you laugh. It’s not the most ground-breaking or original plot you’ll see this year, but it’s still fresh, authentic and charming. While We’re Young is released in the UK on 3rd April 2015.